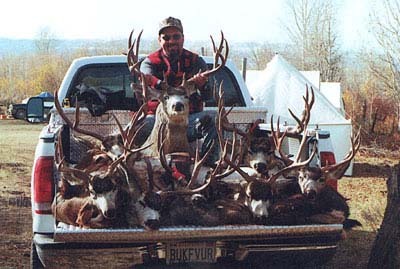 Vince Granzella is shown in the back of his truck after the first day's hunt in Elko County, Nevada. Granzella was guiding hunters during November of the 2000 deer season. His hunters had 100% success.